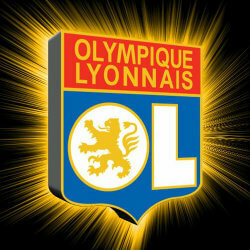 Earlier in the week it was announced that PokerStars completed a deal with Olympique Lyonnais (OL). The Ligue 1 football team is regarded as the 2nd most popular football squad in France with over 10% of the population in the country cheering on OL. Lyon is currently in 2nd place on the Ligue 1 table, as they’re only trailing Paris Saint-Germain (PSG). The team plays home games at the Stade de Gerland in Lyon, which holds over 40,000 spectators and is a great avenue to advertise your brand. It doesn’t take a rocket scientist to see how PokerStars is going to benefit from the new partnership. PokerStars.fr will start to be advertised through various channels including the team’s official TV channel, website and of course at the Stade de Gerland. France regulated online poker back in June 2010, but interest has been waning lately. Winamax.fr is still the most popular online poker room in France with a 7-day average of 2000 players online while PokerStars.fr is #2 with a 7-day average of 1500 players. The new advertising that PokerStars.fr will receive as an official sponsor of Olympique Lyonnais is huge and it should help them grow to be the biggest poker room in the country in the next couple years as long as the sponsorship remains intact. Olympique Lyonnais reported that the deal makes sense to them because of the digital presence of PokerStars. Lyon is planning to grow the reach of the team through digital channels and PokerStars will be able to help them with that task. Lyon isn’t new to partnering with operators in the online gambling industry either. BetClic Everest was the sponsor of the team up until the deal was terminated last year (2012), but it hasn’t taken long for another gaming operator to step up in place. The number of online gaming brands sponsoring sports teams or events is growing. Sports fans are a great demographic to try and target and that’s why more poker rooms with the capital have been investing in sponsorship deals with big sports brands. PokerStars already has a “Team SportStars” that includes Rafael Nadal, Boris Becker, Fatima De Melo and Marcus Hellner who are all superstars in the sports they play. 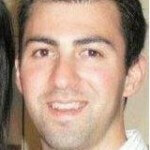 It’s clear that PokerStars sees the sports market as a great vehicle for growth. You may be wondering how players will benefit from this new deal. If you live in France and play at PokerStars.fr there are new tournaments running that have special prizes including Olympique Lyonnais merchandise, tickets and memorabilia. There will be new tournaments hosted at PokerStars.fr daily with the prizes mentioned above. Some of the bigger prizes that’ll be up for grabs include tickets to Olympique Lyonnais home matches, autographed jerseys and much more. It was also announced recently that ARJEL may begin to form partnerships with other regulated poker markets in the EU. As I mentioned above liquidity in France has been drying up. If ARJEL does allow partnerships PokerStars.fr would benefit greatly. In other news, which was announced today, ARJEL has approved fast-fold poker games. PokerStars launched Zoom Poker on the PokerStars.fr platform now and that should also help PokerStars seem more growth in the French online poker market.